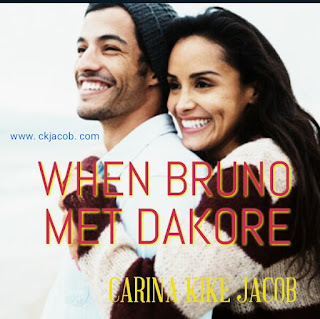 When Bruno Met Dakore... Episode 6 ~ CK Jacob: Nigerian Fiction And Lifestyle Blog. Dakore’s lips remained sealed as she thought of what to say. 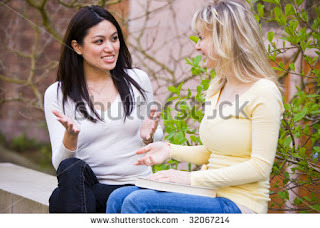 Would he believe her if she told him she saw Gabriel’s wife with Uchenna. Won’t he say she was lying and ungrateful to the person that brought her to his company? She heaved a sigh and looked at him. Bruno left the room and Dakore quickly assembled the photos according to the instruction. After she was done, she went to the living room and the aroma of the food made her famished. Alfred took the box from her and she joined Bruno on the dining table. He was already eating. Dakore ate to her satisfaction and she enjoyed the meal. Bruno who ate in silent, finished his food before her and went to his private living room to make some calls. The last call was made to his mother. 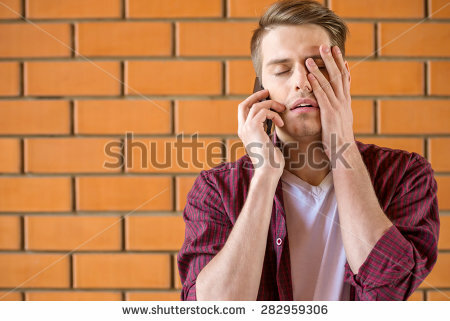 He ended the call before she could even open her mouth to scream at him. Mrs. Mosun dropped her phone angrily on the bed. Her husband came out from the bathroom and stood beside the bed. Mr. Kingston looked at the lamp table, grabbed his phone and stood. Mrs. Mosun watched him walk out the door without hearing a single word from his mouth. He banged the door loud. Dakore was ready to leave; she went and knocked on the door of Bruno’s private living room. “What is it?” He asked in a loud voice. “Okay sir.” Dakore thanked Alfred and Tim before she left to the hospital. Her mother was fast asleep. She woke up thirty minutes later and smiled at her daughter. “It was okay.” Dakore said without a smile on her lips. She placed her right hand on her forehead. She shook her head and began to cry silently. Her mom gently took her hand away and Dakore looked at another direction. She didn’t want her mother to see tears draining on her face. There was a knock on the door. Nurse Abigail came in and told them that they had a visitor. She left, came back with her and went away. Dakore and Nneka hugged. Mrs. Roberts was very happy to see her and thank her for the provisions. Dakore stood and convinced Nneka to sit. When she finally did, she questioned her. “You live in a motel?” Nneka asked Dakore in a surprised tone. Nneka greeted Dakore’s mom and they bid her goodbye. After a long walk to the motel, they got into her room and Dakore pull off her shoes and sat on a chair. She shook her head. "I can't believe this. Stop working for him." I remember those days when I use to do an ushering job mostly in Lagos, we organize the food and drinks,we serve the guest,and sometimes sell and promote company products as a promoter..especially Guinness..lol Waoooh, what an interesting episode but short,I think the woman is bruno’s Mum.....Nne, I no it’s not easy but please we need more lol. Thanks dear. I remember those days, when I use to do an ushering job mostly in Lagos, we organize the food and drinks, we even serve the guest, and sometimes sell and promote company products as a promoter, especially. Guinness...lol, waooh what an interesting episode but short, I think the woman is bruno's mum.....Nne, I no is not easy please my dear we need more lol, Thank dear and God bless you.